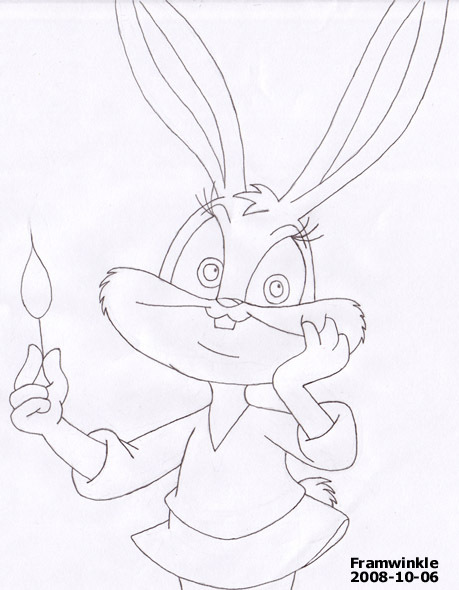 This is of Babs Bunny holding a match from one of my favorite scenes in "How I Spent My Summer Vacation". 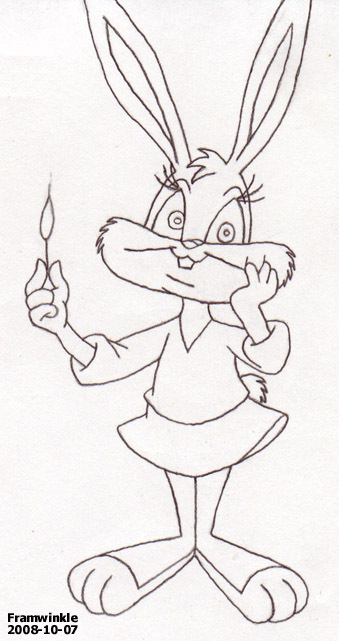 This is the scene where Babs discovers the shack full of fireworks, and you can just see her contemplating in her mind the potential mayhem she could cause. I love that scene, and think it's possibly the best portrait of Babs in the show. I had this screen capture printed out and put inside the cover of my notebook, so when I got bored during class I decided to try to draw it. 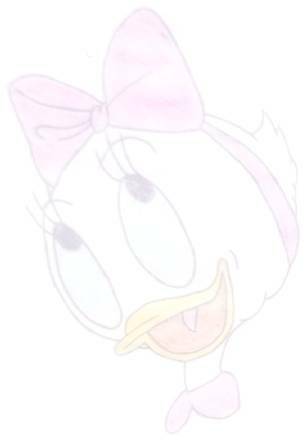 No, this was not traced. I may try to color it later. Just for kicks, I tried this one again, but on a smaller scale so that I could work faster and test myself to see how I would do. The first drawing took up the whole page, but this one is only 4 inches tall. I also wanted to do a full body drawing so I could add her feet and ears, but unfortunately I didn't start far enough down the page, and her ears got cut off again. I thought her feet turned out pretty well, though, and I had to come up with what they'd look like on my own, since they weren't shown in the original screen capture.